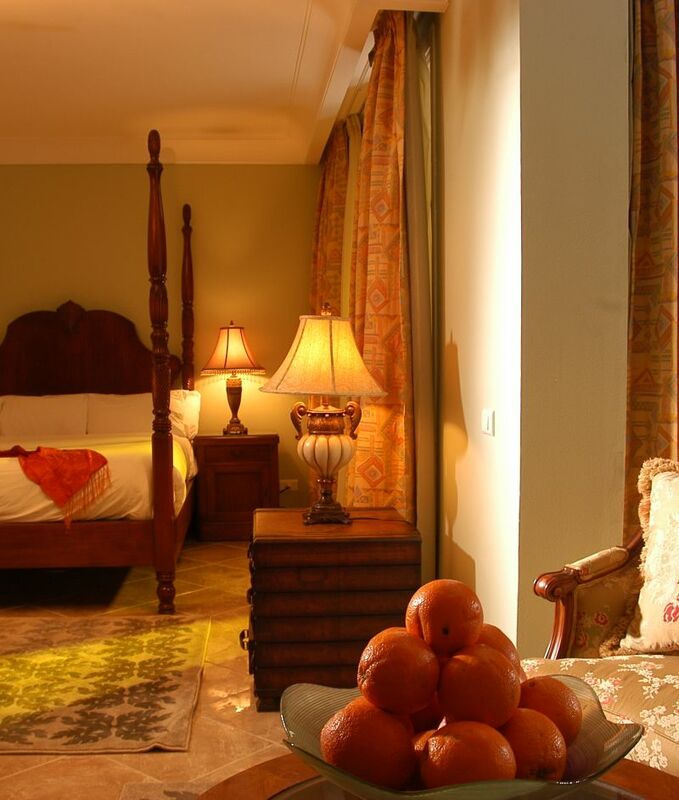 Each Villa includes a private pool and garden, butler service upon request, daily fridge replenishment, and more. 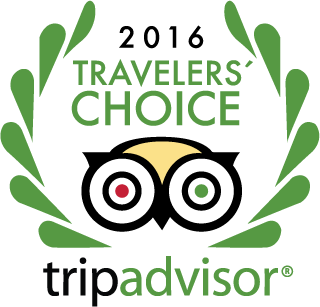 Your villa stay includes luxurious embellishments such as flowers upon arrival, daily amuse-bouches and canapés, and premium 100% Egyptian cotton linens. 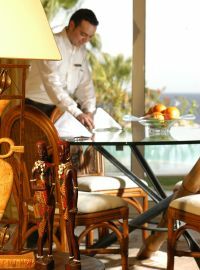 Our Butler service ensures every moment of your stay at the Royal Savoy will be as you want it to be. Every desire may be yours, from arrival to departure. Feel like royalty and allow us to pick you up from the airport in a private chauffeur-driven limo sedan. 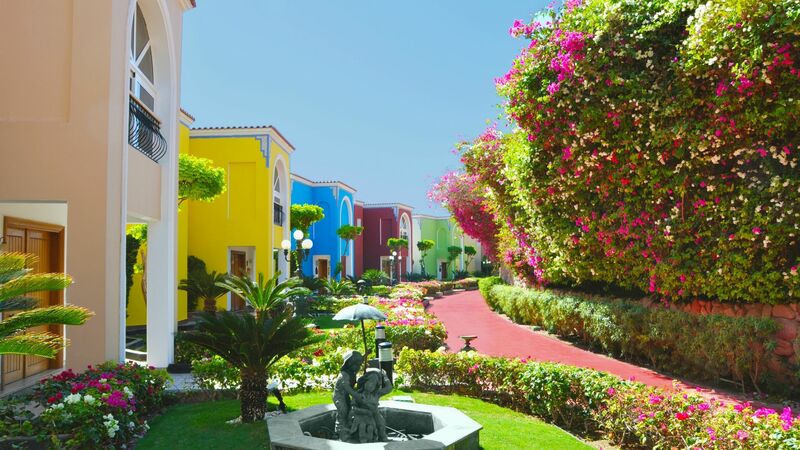 Be personally greeted at your villa for registration with welcome drinks and aromatic cold towels. Perfect for entertaining, opt for light cooking in your personal kitchen or order catered meals for special occasions. The formal indoor dining table provides an ideal setting or dine al fresco cooking on the villa’s outdoor barbeque grill and relaxing in open-air seating areas. On request, receive your own professional chef for in-villa catering. Satisfy special requests with made-to-order dishes. 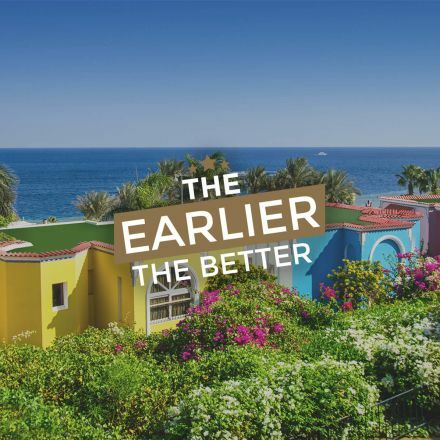 Stay connected with complimentary high-speed wireless internet access with 24 hours connectivity. 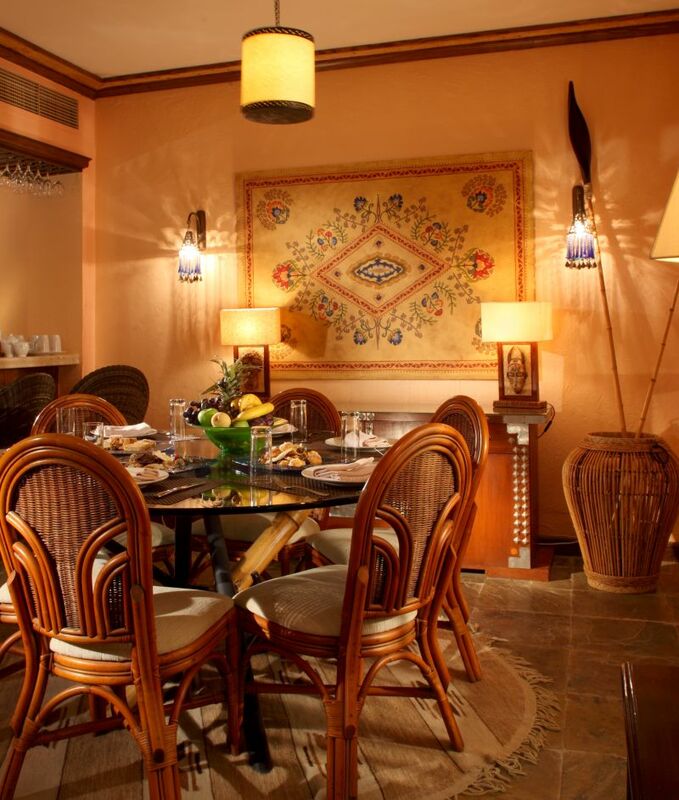 A freshly prepared breakfast may be served either indoors or outdoors at your stunning villa overlooking the Red Sea. 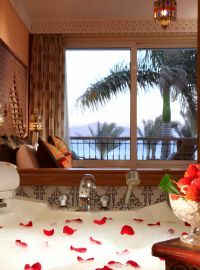 Lounge along the private beach, go snorkeling and swimming, or inquire about other excellent Red Sea activities. 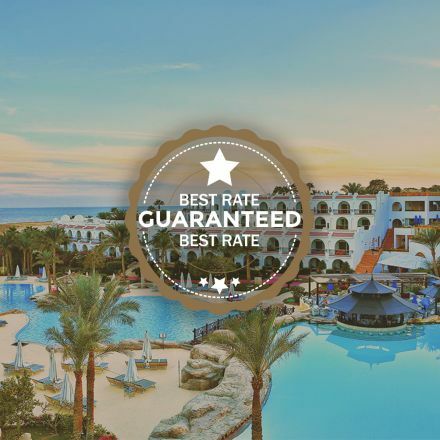 Soak up the sun or enjoy a refreshing swim at your very own private pool. 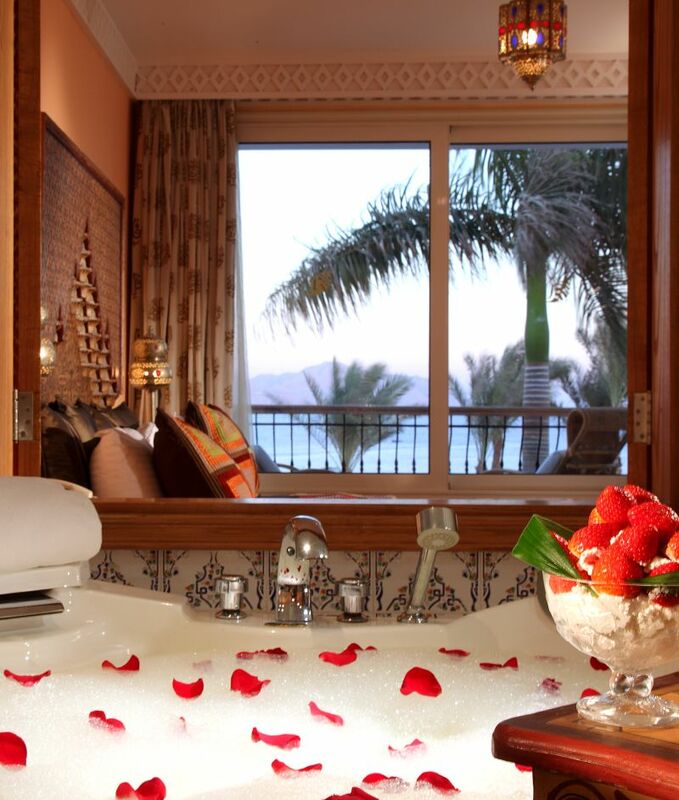 Pause and indulge your senses in the soothing Jacuzzi. 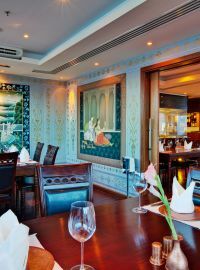 End your day with fantastic Indian cuisine at Bombay restaurant. Spacious, luxurious and regal, Villa Queen Nazli incorporates a remarkable antique aesthetic with imported pieces adorning the space and chic black and white artwork. 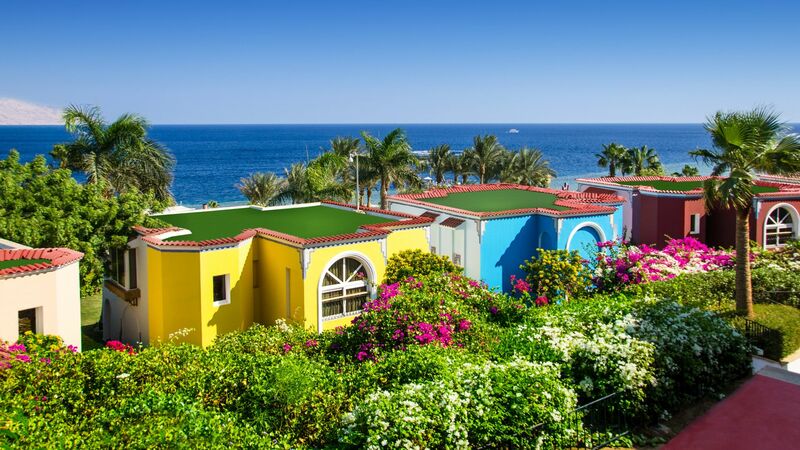 Villa Alexandria is an exotic villa, taking inspiration from the fabled tales of Queen Scheherazade. 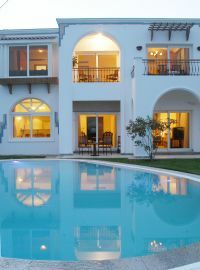 Villa Aswan whisks occupants into the heart of Africa and features a state-of-the-art entertainment system, private garden, pool and balcony. 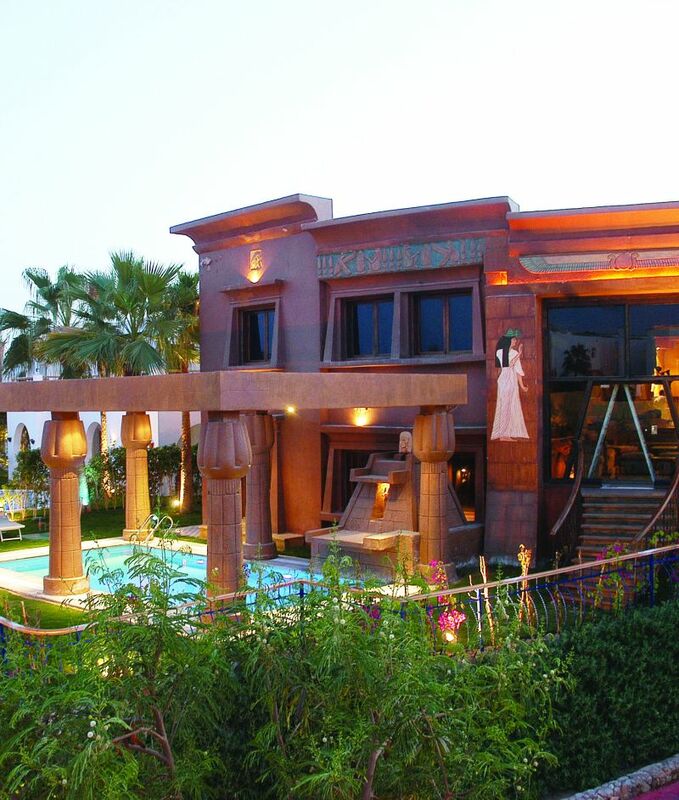 The elaborate and grand Villa Cleopatra is designed in the manner of the Temple Luxor. 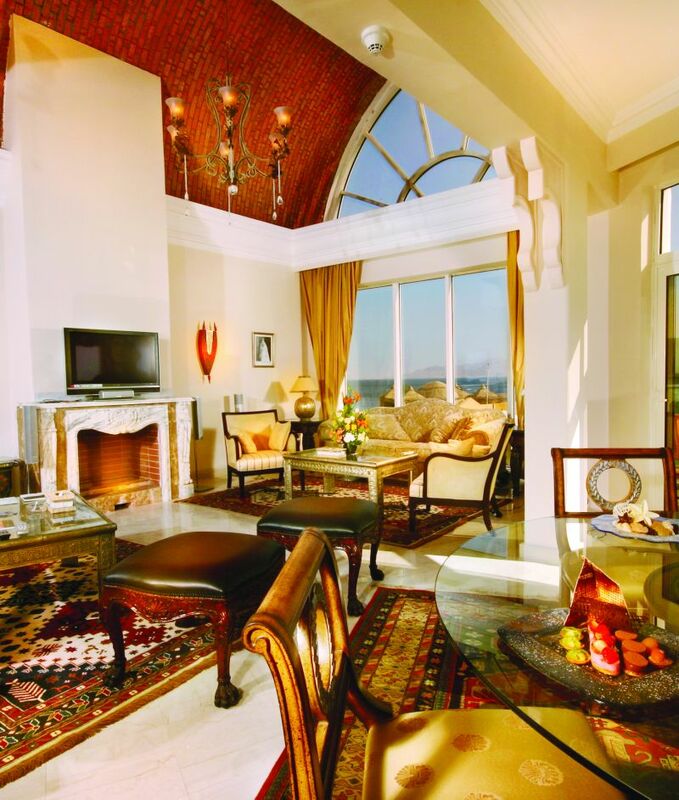 Villa Queen Farida is designed with antique embellishments and includes reception, dining room and lounge spaces. 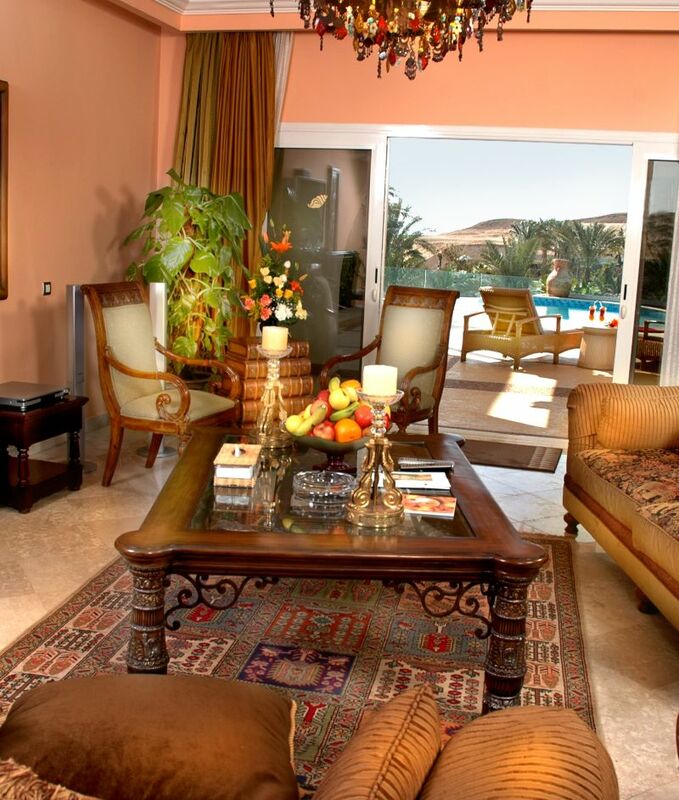 A contemporary villa furnished with luxe imported Italian furniture.